All Stonyford homes currently listed for sale in Stonyford as of 04/23/2019 are shown below. You can change the search criteria at any time by pressing the 'Change Search' button below. If you have any questions or you would like more information about any Stonyford homes for sale or other Stonyford real estate, please contact us and one of our knowledgeable Stonyford REALTORS® would be pleased to assist you. "This stunning one of a kind 80 acre ranchette is being offered for sale by the original owners of 40+years. Picturesque 2729sq ft home featuring 4 beds (2 master suites), 2.5 baths, formal dining room and living room and stunning views from every window in the house. Outside you will find fully landscaped and manicured yards, custom iron gazebo and BBQ space, multiple outbuildings on the property, including metal shop with 2 roll up doors, car lift, 30x50 3 sided metal storage building currently used for hay, metal barn suitable for storage or livestock, single operator heavy duty cattle sorting pen and chute, two wells and multiple water storage tanks. The recreation opportunities are endless with your personal year round pond stocked with Bass, East Park Reservoir minutes away, public atv trails and tons of wildlife (elk, coyote, quail, dove, deer). Inquire for more details...to much to list." "Views of Majestic 7000 foot mountain peaks & lush grassy pastures shaded with towering Valley Oaks, await you on this 40 acre getaway. The main home features an open floor plan with 10' ceilings, 8' doors, & a meticulously thought out decor & attention to detail.The elegant living room is comfortable by design.This is where you will sit & watch the clouds dance around the mountain tops. As the sun sets they are be dramatically draped in brilliant color. With ample cabinets, & all stainless steel appliances, the kitchen is a warm & irresistible space for meal preparation while taking in the views & visiting with friends. The gracious dining room boasts an inviting fireplace & abundant natural light. From the master suite, you will awaken to the natural light that flows in from the many windows, & to the sights & sounds of nature just outside. There is a private exit to the outdoor patio of grayed tropical Ipe wood. Just off the neatly kept tack room is a charming bunkhouse complete with a private bath and walk-in shower. Across the breezeway are covered horse stalls and a fully enclosed room that is used to store hay. East Park Reservoir is a couple miles away for camping & water recreation. Over-sized 24x26 garage can store a boat & other toys. Fouts Springs is known for its dirt biking. Thunder Hill Raceway is only 33 miles away. And when the day is done, this is a place where you can experience the serenity & peace that is hard to find in a busy world. This is the dream!" "Amazing View Home On The Range With A Warm Country Setting !!! Get Away from the busy life and work with this newer home in a prime location situated on the foot of the BLM Range. 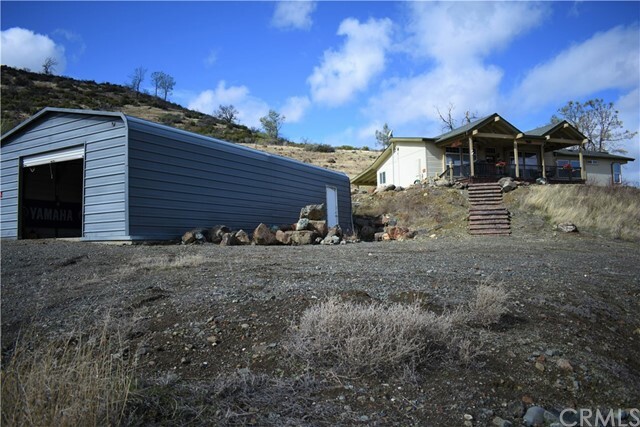 This home is in the best lot (5 ACRES ) in the area and literally perched at the base of a series of small hills you can hike out the back door into the hills or ride the ATV . Home Strategically Placed for the Breathtaking & sweeping Views Below of the Lake and the surrounding prairies and rolling areas of the Unique Recreation land flanked on both sides of the Lake are multiple spectacular View Sites to Enjoy Lake Views are seen from the main your Living Room - Family Room - Master Suite & the Guest Bedrooms . enjoy a morning Cup of Coffee or Glass of Wine From Your Jetted Hot Tub to the Fire Pit Surrounded by wood seating benches. When Arriving at this Home A nicely landscaped stone path leads you to your Large and Well Built Covered Patio which is placed for Optimum and Enhanced Views . In the distance surrounding your Home is a vast breathtaking series of ranges and Wonderful Nature Areas Commonly see Antelope, Elk , Deer , Jack Rabbits , Wild Turkey and much more .Got Toys there is a 20' x 40' shop with power and propane gas + A Quonset style building, approx. 18' x 37', which also has electricity. 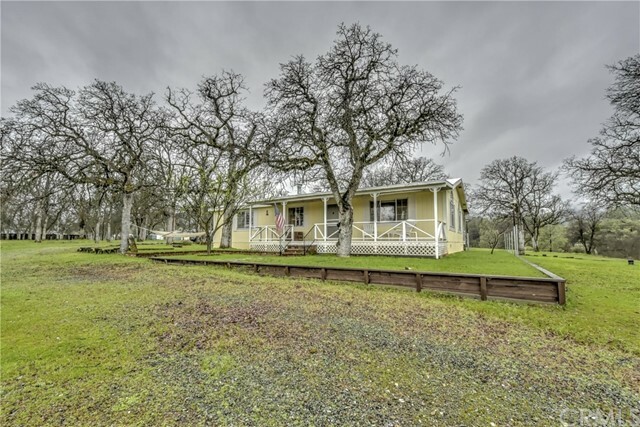 A great place for year round living, or as a 2nd home to enjoy the many recreational opportunities to offer with the Mendocino National Forest and East Park Reservoir in such close proximity." "Country living with this open and airy 1500 plus sq ft home situated at the foot of the mendocino national forest enjoy hunting hiking and fishing in this unique setting many amazing recreational activities just minutes away enjoy views of the Lakeviews and mountains seen in the distance like a postcard get away from the busy traffic of town and enjoy the nature with this homes sight commonly see turkeys rabbits deer and many other critters with this wonderful rural escape ." "Beautiful hilltop property offering amazing views of East Park Reservoir in scenic Stonyford. 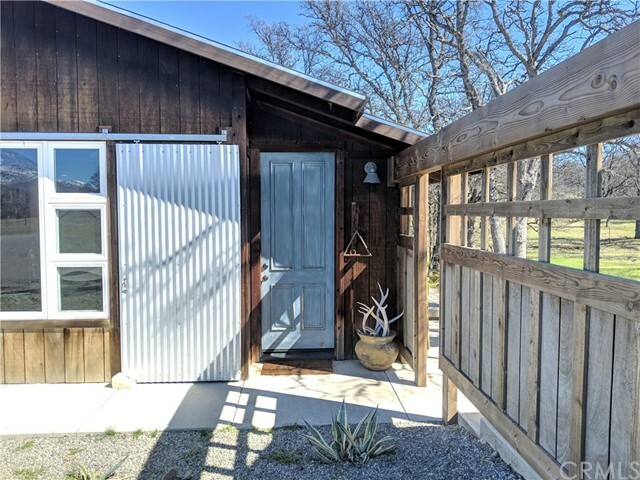 Adjacent to the Mendocino National Forest, this area is known for its array of outdoor activities (hiking/hunting/fishing/boating) and spectacular wildlife hunting and viewing opportunities (deer, elk, turkey, pig). 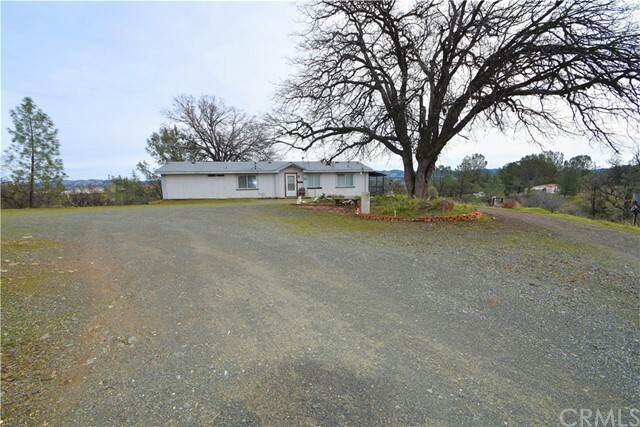 This immaculately maintained 2 bedroom, 2 bath, 1352sf home on 2.18 acres boasts central HVAC, a wood burning stove for those chilly nights, screened in back porch (8'x52') with views that will leave you wanting more. Freshly painted inside and out with new carpet, laminate flooring, ceramic sinks, and tastefully updated fixtures, this home is move in ready. Repurposed brick utilized for steps and stunning landscape accents. Mature oak trees provide plenty of summertime shade for relaxing in the hammock or enjoying the mountain breeze while sipping your favorite beverage. Enjoy candlelit dining on the screen porch while watching the deer wander by. Oversized garage and shop, 2 car carport, storage (10'x12') and wood sheds give you plenty of room for whatever you need. RV hookups for guests or extra family get-togethers. Pack your bags, bring you horseshoes and make this mountain retreat you own." 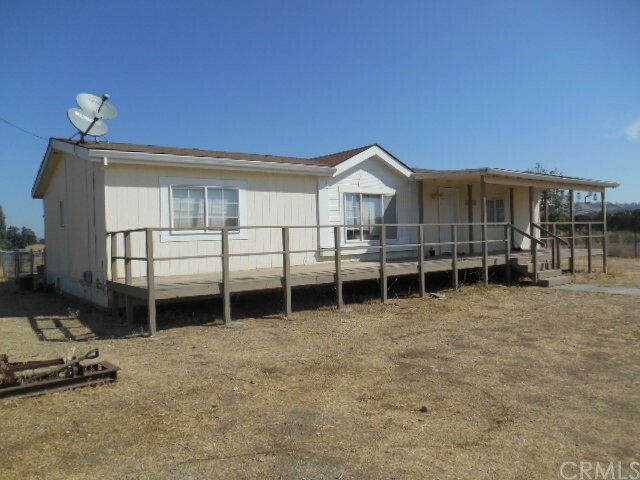 "Moderate sized, 1352sf, 3 bedroom, 2 bath Manufactured home on large 1 acre parcel on quiet street. Each bedroom has a large walk-in closet. Extra large 2 car garage with plenty of storage for toys and gear. In an area known for exceptional outdoor recreation (OHV trails, fishing, hunting, boating). this property offers nearby access to fabulous hunting and wildlife viewing opportunities (elk, deer, wild pigs, golden and bald eagles, osprey). This would make the perfect retirement get-away or weekend play retreat."